The mesmerising rhythmic sounds of the water mill usually greet anyone approaching a village in Pakistan. Whether you see emerald rice fields or golden wheat crops, depends on the season. Though times have changed, many houses are still not made of bricks as in the cities. You will see women wearing bright printed tunics and the iconic shalwars, carrying earthen pots filled with water on their heads. Sometimes balancing two even three, one on top of the other. There will be men working in the fields, children playing or going to school. In all probability there will be a mosque, right at the centre of the village. You will drink delicious milky sweet chai while sitting on a charpoy at a roadside hotel. Ornately decorated trucks will be parked alongside. You will witness a riot of sights and sounds, fascinating, yet overwhelming at times. While all this seems very romantic and almost utopian, life for the inhabitants can be sometimes brutal and is a daily challenge which can only be fathomed if experienced first hand. There are few who dare to take the plunge and even fewer who devote their efforts, time, and resources to actually do something about the many problems faced by people living in these villages. And the team at Shift are a part of those few. Millions of people die from the usage of unsafe energy sources like fire wood and sub-standard gas stoves. These sources not only deplete natural resources, add to pollution but also can be expensive therefore out of reach of many. One source of energy which has been used in many parts of the world, especially South Asia since centuries is animal waste. Woman make circular cakes of dung and dry them in the sun, sometimes by sticking them to the walls of the house. Though this might seem incredulous to many and even humorous to some, cooking food, heating water, and keeping households warm is a huge challenge many face every day. Though this method is effective, delivers heat free of cost and gets rid of harmful waste at the same time, it can be tedious, time consuming and harmful to the health of those involved in processing the dung, mainly women and young girls. 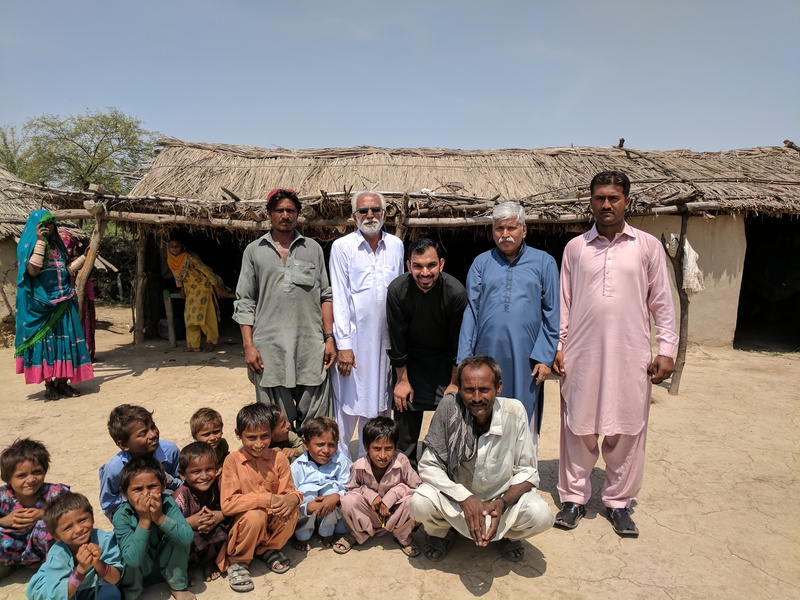 This dilemma moved Fahad Tariq to come up with the plan to combine technology with this age-old method of producing energy for village households everywhere, starting from Pakistan. 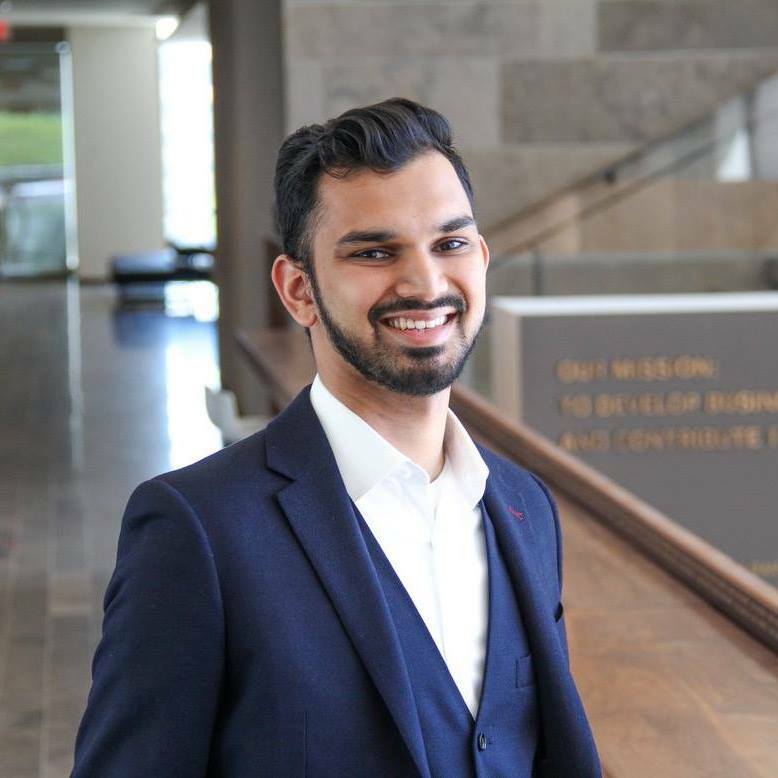 Fahad holds an MBA with focus on finance and entrepreneurship from the University of Western Ontario’s Ivey Business School in London, Ont. He was previously a manager with Ernst & Young and obtained his CPA, CA designation. He founded Shift, an organisation with the target to construct energy domes in remote villages which use animal waste as their fuel. These domes use the principle of anaerobic digestion. The science behind this is that certain bacteria decompose waste without consuming oxygen and as a result of this chemical reaction release methane gas, which can be used as fuel. What Shift does is to build these underground domes that allow this process to happen in a safe and efficient way. The construction of the domes is the biggest investment at a cost of $2,500 CAD. But the beauty of the design is that since there are no moving parts, there is no maintenance cost. They are now working with a few Canadian universities to design a more efficient model that allows each energy dome to supply free, clean cooking gas to more than 25-30 people. The projects are currently located in Pakistan though they plan to scale to other countries soon. The two current projects are located outside of Gujranwala (in the province of Punjab) in a village called Kakka Kolu, and 10 projects which are currently being constructed are in interior Sindh, five hours outside of Karachi, in a cluster of villages called Khipro. Fahad gave us some details about the village. “Each village in Khipro has 30-50 residents and the layout of the village is basically a few huts for each family. The hut is essentially a single room and a shed for the animals. Every village is a little different, but I’ll tell you about Khipro since that’s where we’re scaling the fastest. The people living in the village work on the farms, tend to their animals, and harvest the crop, mostly cotton. They are extremely poor, and I was shocked when I saw that some of the children living there didn’t even have a full set of clothes. It was jarring to see that level of poverty. 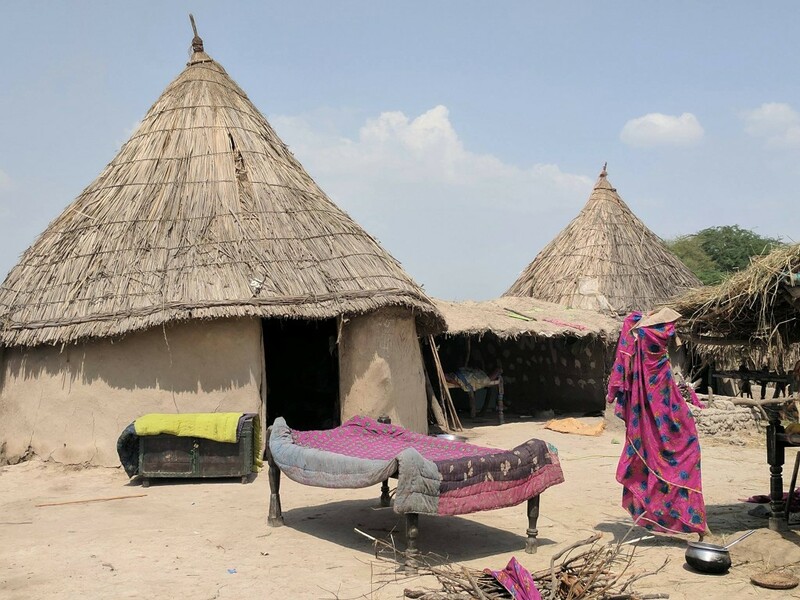 “The people living in the village use firewood for cooking but because their huts are not ventilated the smoke builds up inside the home and whoever is inside inhales it, causing a host of health problems. When I visited the villages, I would always ask the residents if having clean gas would help them because I didn’t want to build something that wouldn’t really benefit them. And their response was always a resounding ‘yes’ because they wanted to avoid the dangerous smoke. The entire community benefits from such projects, but of course some are directly affected while others benefit in general. As most stages in producing fuel for the household in villages involve women, they are the greatest beneficiary of these energy domes. Unfortunately, women in many cultures are still discouraged from being vocal about their feelings and experiences. “One of the cultural barriers we have run into in Pakistan specifically is that the women living in the villages tend to be very reserved and don’t necessarily want to interact with people from outside the village, let alone a man who travelled from Canada. When we were filming a promo video for fundraising purposes, it took us almost half a day to convince one woman to talk about her experience using the clean gas from Shift’s energy domes. This is unfortunate because women are the biggest beneficiaries of this technology and we’d love to have them involved. We’re working on finding a way to involve them more in the decision-making process, including perhaps something as small as letting their personal networks know about the work Shift is doing and helping us identify more villages where this would be beneficial. It will take time, but we hope to make progress on this. Fahad Tariq: Founder and CEO. Rehan Cheema: Regional Director of Operations, Pakistan. Previously worked at the Norwegian Refugee Council (NRC). He has extensive field experience and was part of numerous emergency response teams that worked in collaboration with the United Nations in Pakistan. 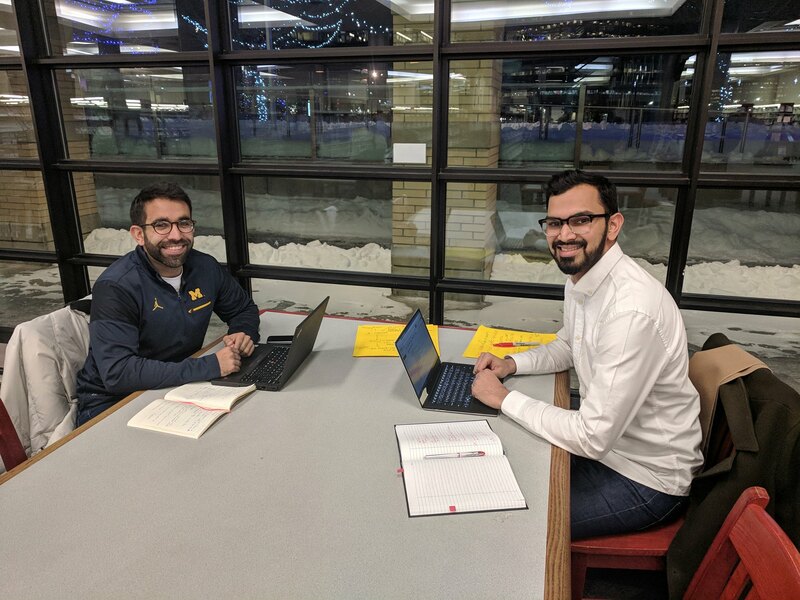 Waleed Chaudhry: Based in New York, holds an MBA from The University of Michigan’s Ross School of Business with background in Strategic Planning, and has been a consultant for the World Bank on various development projects. Dr. Corinne Schuster-Wallace: Programme Officer (Water and Human Development) at the United Nations University Institute for Water, Environment and Health. Daniel Bida: Executive Director, ZooShare. James Larsen: Director, MaRS Discovery District. Mujir Muneeruddin: Partner & Head of Business Law, Abrahams LLP. The team at Shift plans to scale to 10 projects by the end of 2017. Through a crowdfunding campaign they were able to raise 125% of their goal in just three weeks. Their target is to build domes in 50 villages next year in addition to improving the underlying technology. The vision is to utilize latest innovative methods of waste to energy conversion and help the maximum number of people. They want to spark an energy revolution so that people talk about biogas in the same breath as wind or solar power. With this approach, millions of people can have access to safe affordable energy, while getting rid of dangerous waste.